Hollybeary Creations : FM182... Galaxy Technique! 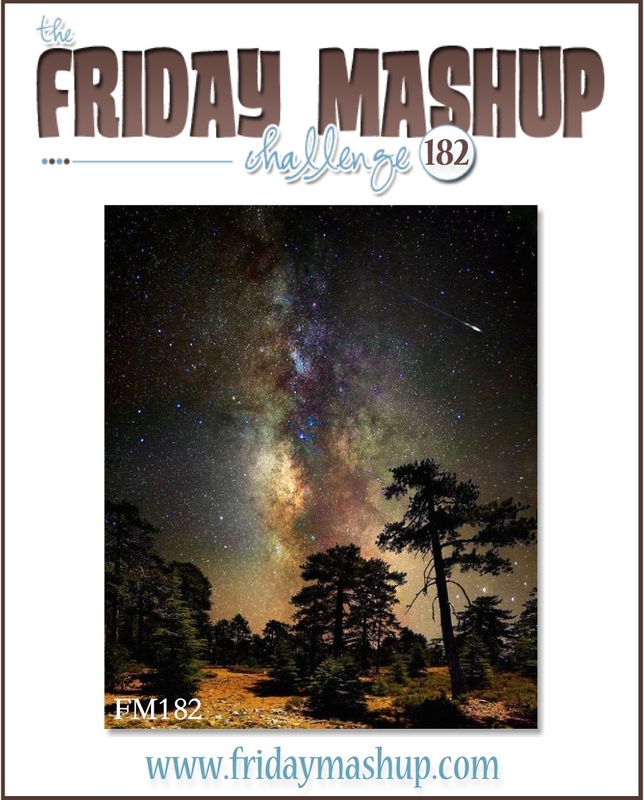 This week at the Friday Mashup I'm your hostess and I have a super fun technique for us to try. We are doing the Galaxy Technique and we are creating cards for a friend. 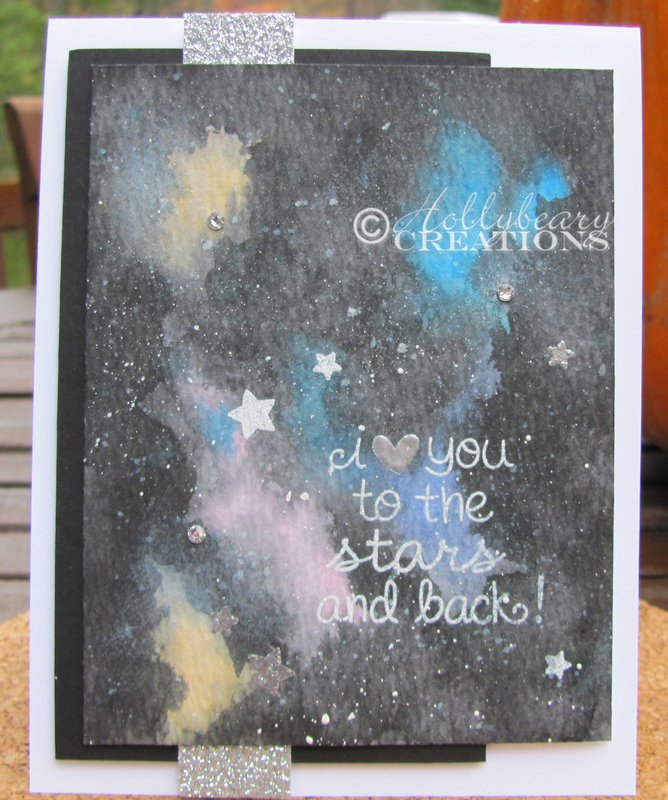 This is a fun technique using inks or paints to create a Galaxy look to your background. 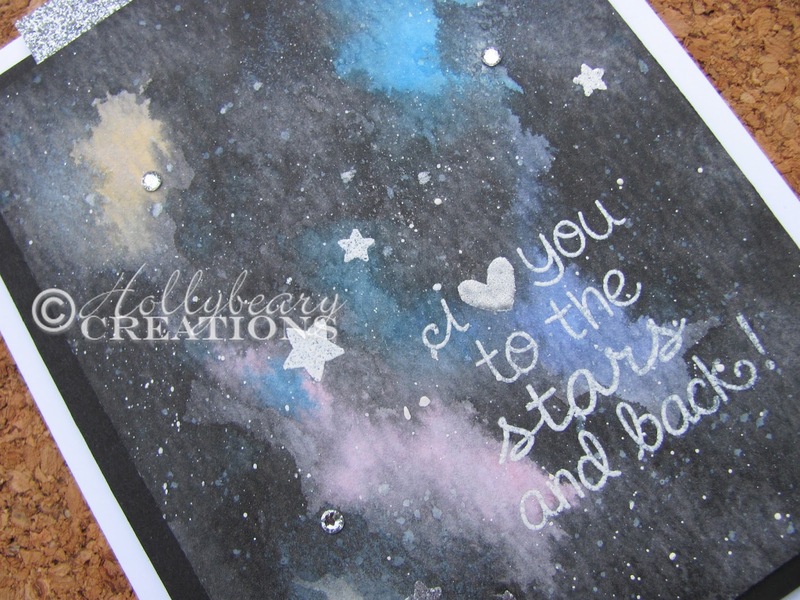 I created the background on a piece of Tim Holtz watercolor paper.. I used the side with the texture. Using several different Distress Inks I created the background and dried it with my heat tool. Once it was dried I added some spritz of white acrylic paint and a few spritz of silver. I stamped the sentiment from Lawn Fawn in VersaMark and embossed it with some White and Silver embossing powder as well as a few stars from the same set. I added a few Rhinestones as well. The card base is White with later of Black card stock and a strip of Silver Glimmer paper. The background came out great.. but I'm not super happy with my card layout. But overall it's pretty cute! Head over to the Friday Mashup Blog and see what the other Design team members created with this fun technique.. I love how everyone's backgrounds are different! The Challenge will be open until Wednesday @6pm EST. We hope you will join us! This was a fun technique, Holly! I made a complete mess with it but I truly enjoyed playing around with it, thanks for challenging us with it! Your sentiment is perfect for the card, love it! I've never heard of this technique but love the look of your card! I could easily tell it looks like the galaxy.